Description Taking over where the hit of 2017, Fate / Extella: The Umbral Star, had stopped, Fate / Extella Link adds 10 Servers to the original list of 16 players. Ultra-responsive playability has been improved and players are making their way through armies of invaders to regain control of SE.RA.PH. against an invasion force. Players can now engage in massive four-on-four online battles with up to 7 other players. Choose your favorite Servant and make your enemies shudder at the real name of their "Noble Phantasm". Combatants from all Fate universes join the fray - In addition to the original 16 Fate / EXTELLA Servants: The Umbral Star, characters from other Fate series will come into conflict as Playable Servers, including Astolfo, Scathach and Francis Drake. 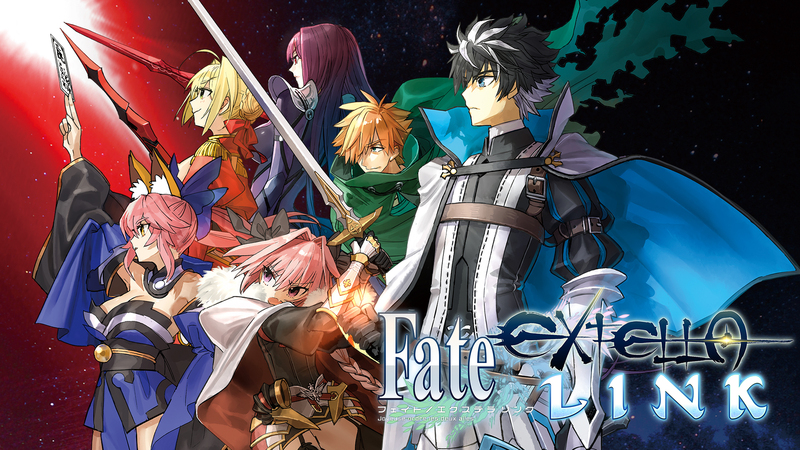 A thrilling sequel to the legend of Fate / EXTELLA - The original creator of Fate / Stay Night and Fate / EXTRA scriptwriter Kinoko Nasu returns as a supervising director to further develop the lore of this universe. In the base camp - Move freely around the base camp of your army, a medieval cathedral suspended in the sky. Interact with your servants to build relationships. Enhanced Combat Graphics and Mechanics - Combat mechanics and animation have been perfected to give you the ultimate battle for one or more players. Team up with Assistive Servers to launch devastating Chain Phantasm attacks. Massive Online Battles - Players can now participate in massive 4-on-4 online battles with up to 7 other players. Choose your favorite Servant and make your enemies shudder at the real name of their "Noble Phantasm".